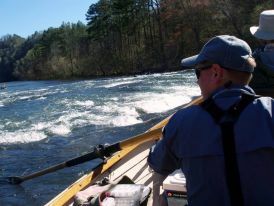 Mark has begun to put in a little time on the Toccoa and here is some of what it has produced. The water is a great level and a good temperature. The color is an opaque emerald, not quite clear. 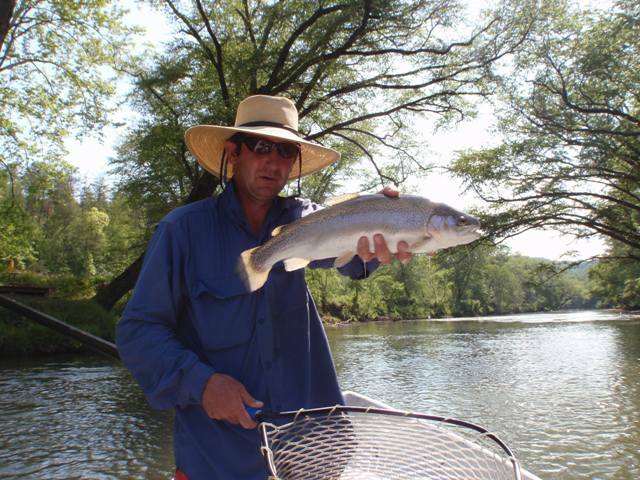 Best fishing has been sub-surface which has a produced a few real bruisers. Not a numbers game, but a chance at some really nice fish. 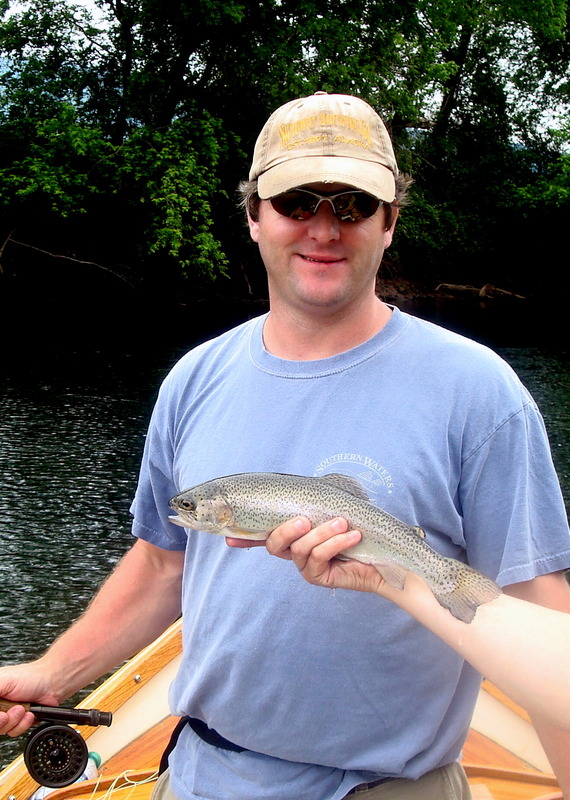 Here is Tony, our first 20 inch club member for 2011 with a 23-inch rainbow. Good job. Auburn grads, Chance Johnson and Jeremy Pipkin fishing the Hi with Petey; catching some bows - the largest being 15". 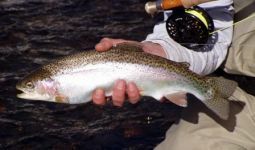 We have experienced a glorious April on the Hiwassee with lots of rainbows like this one and bugs like we have never seen. Plenty of mayflies and an occasional caddis blizzard. 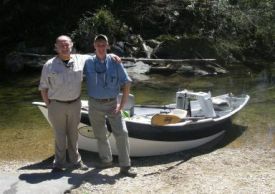 May promises to be more great fishing as different flow levels open up more segments of the river to fishing. My friend, Gordon Eisert says "Fishin instead of Wishin." That is what Petey has been doing at the stair step rapids lately. Here is one Dale caught on the way down last week. 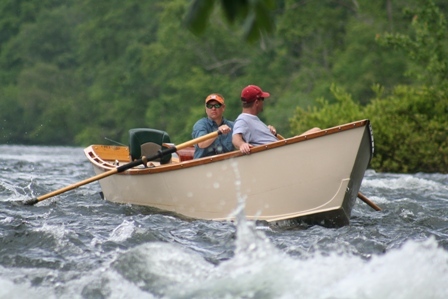 We have a great spring situation occurring on the river now. TVA is doing some work to the penstock in Apalachia Lake so we are getting a constant flow from the dam which is the equivalence of between one and two turbines. 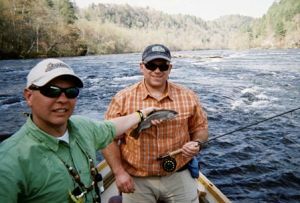 This should persist through April and is a perfect flow to fish the upper river from the powerhouse to Reliance and the middle section. We very rarely have these flows. I believe it has been about eight years since the last opportunity. 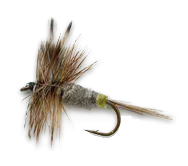 What this means is we get to fish the upper and middle sections from the drift boats and that is where the best mayfly action occurs. We should have Hendricksons with caddis mixed in turning to Sulphurs late April into May. Our Patagonia trip this past February was fantastic as always. The fishing is always epic, but what makes it so special are the people and the place. We have a great group go every year and this year's group from across the country was no exception. 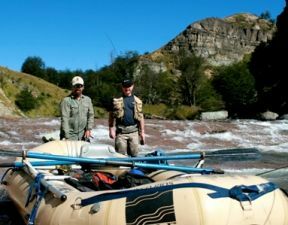 Our Chilean hosts and local guides are some of the most hospitable on earth and the country is mysteriously enchanting with another stream or river around every corner. Chile is home to some of the world's best and least explored trout fishing. So, we continue to fish new water every year. Plans are already underway for our 2012 trip which is also the big hatch year for the Cantaria beetle; a fierce looking but harmless insect, up to 4.5 inches in length and a favorite meal for the rainbows and browns. Join us for the fun. 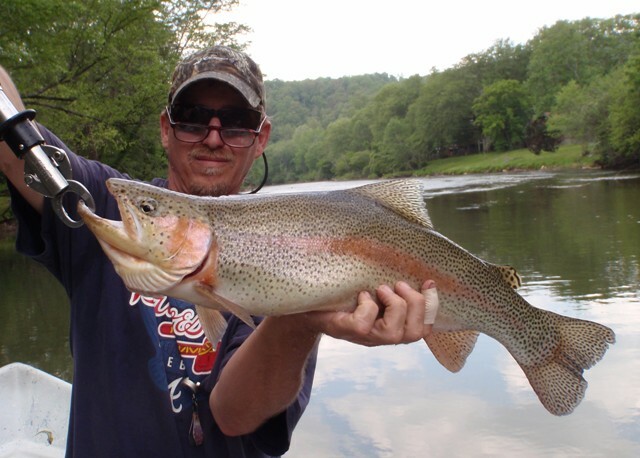 The Crystal Ball - Trout Fishing in the Southeastern U.S.
Every year about this time people start asking, "How is the fishing going to be this year." Well, one thing is for certain - every year is different. But based on our winter and early spring weather summary, we are set up for one of the best seasons in east Tennessee and north Georgia. We had a good cold winter with rain and snow which provided us a stable supply of cold water for our mountain trout streams and a cold water reserve in our reservoirs. We have had an extremely wet March which has given us quick lake fill in the TVA reservoirs. So, we should have good stable and predictible flows for spring into summer. Combine all of that with the fact that our trout went through minimal stress last summer and fall and it all adds up to some good rod bending in 2011.